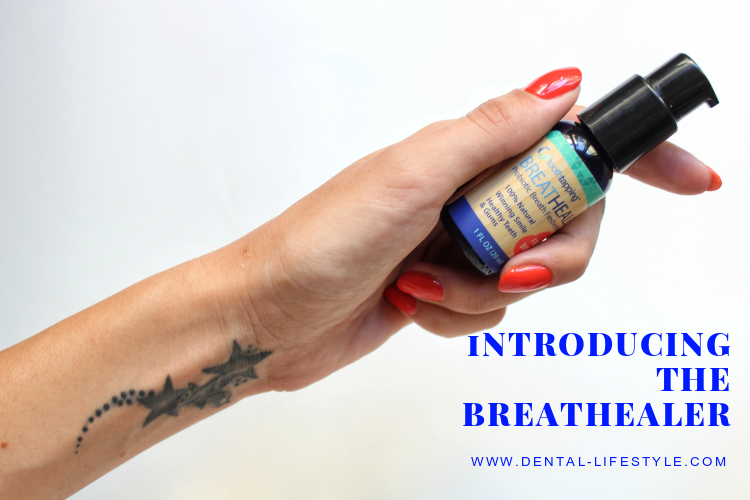 Introducing Breathealer! The probiotic remineralizing, breath-freshening gel. The safest way to have a healthy mouth is to encourage the growth of beneficial bacteria. Only a small proportion of the bacteria found in the mouth are disease forming. Most of the bacteria are beneficial and you need them! With Breathealer’s healthy, salivary, probiotics the unhealthy bacteria are crowded out. Instead of wiping out all bacteria in your mouth as advertised by the mouthwash companies, BREATHEALER replenishes and reinforces the beneficial bacteria in your mouth to crowd out the unhealthy bacteria including those that can cause gum disease, cavities, and bad breath. Oral probiotics help support tooth and gum health and help whiten teeth! 1. Squirt 2 pumps of Breathealer into your mouth, swish for 60 seconds, swallow, and … presto! FRESH BREATH! 2. Breathealer is dentist-formulated to add healthy probiotics, help with tooth sensitivity, and help restore healthy teeth and gums. Also helps with oral yeast problems.